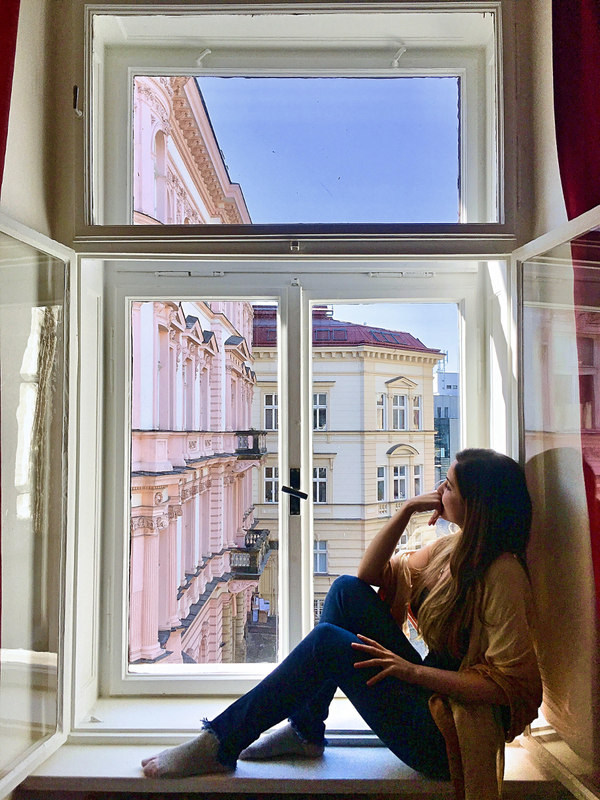 PhD student from the Graduate program in Cellular and Molecular Biology of PUCRS, Priscylla Volkart has set foot in the Czech Republic, for a one-year term. She has been awarded with a Capes research internship grant, and is currently at the Institute of Molecular and Translational Medicine (IMTM), in Olomouc, with professor Jiri Bartek, who also works in Prague. He coordinates the Genome Integrity Unit at the Danish Cancer Society Research Center, in Copenhagen (Denmark), and the Karolinska Institutet, in Stockholm (Sweden). He has won prestigious prizes in the three countries, has published as many as 400 original articles and is very popular in cancer studies, as he has been cited a number of times. 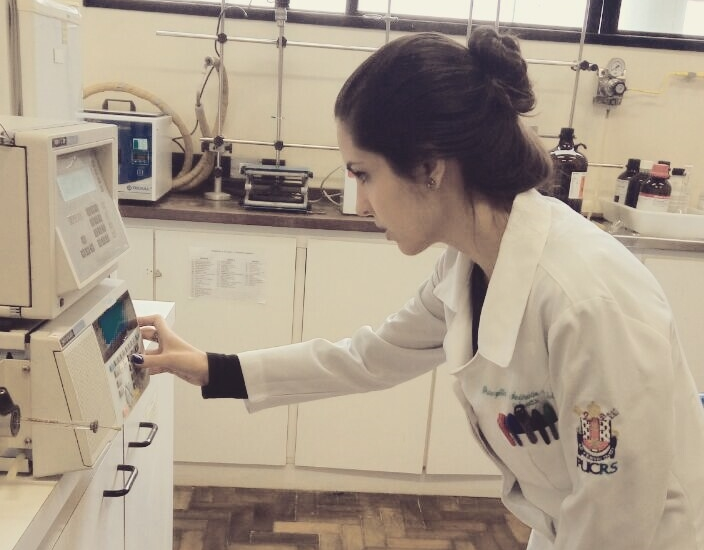 Priscylla, who is advised by Dr André Arigony Souto at PUCRS, is studying the senolytic activity and selectivity of natural compounds. She is looking into the molecules that are candidate to a treatment intended for the selective elimination of senescent cells. An accumulation of those cells can bring about a number of conditions, including inflammatory, circulatory and chronic diseases and cancer, among other aging-related diseases. “To be working in a prestigious laboratory such as IMTM can be very beneficial not only to my dissertation, with the new techniques and methodologies that would be employed as well as the cutting-edge equipment to be used. Being advised by renowned specialists and having the chance to learn about the laboratory and scientific practices from students from different countries is also a plus”, says she. Priscylla was encouraged by Arigony to email Professor Bartek because he has written an article about a sensitive biomarker that is more related to her PhD project. He replied promptly and was very welcoming to her. “Then, when I heard about the grant, I was encouraged by Dr Arigony again. I sent Bartek an email in an attempt to check the possibility to be working with him and he offered me three out of his four laboratories to choose from: two are in the Czech Republic and one is in the Netherlands.” They have chosen the one that is more closely related to her investigation. According to Priscylla, Olomouc has a population of 100,000 inhabitants, 30,000 of which are students. In her view, most international students come from an European country and descend from the Czechs or Slovaks and this makes the adaptation easier in the city. On the other hand, people do not speak English very well and this makes communication with store owners, supermarkets and even in public transportation more difficult. “People in the laboratory are very helpful and are more fluent in English, and this facilitates communication and adaptation in the city”, tells she. Priscylla has a degree in Chemistry and a Master’s in Cellular and Molecular Biology from PUCRS. She was admitted into the PhD program right after defending her thesis. “Since the very beginning, the University has offered me the infrastructure and, most importantly, the support necessary for my professional and personal development. Without the constant support from my advisor and from the Graduate Program’s faculty, Chemistry department staff and secretaries, I would not have been able to cross the borders and beat the difficulties to go to the Czech Republic. I regard them as my friends rather than colleagues”, adds she.